Jaya 33 is slowly becoming a favourite spot for food especially if you're looking for something more up scale. I chanced upon D'italiane Kitchen by accident as I attended an event there a long time ago. No doubt I have been to their outlet in Sunway Giza (d’italiane kitchen, Sunway Giza). But still, its nice to try at this place. Its décor is tasteful and minimalist while the alfresco dining area offers a look at the busy Jalan Semangat. I also found the menu to be extensive and although they don't serve pork, I noticed they use alcohol in some of their dishes. Since I was there alone it was hard to try their pasta as they served about 200gm for its mains. It was a rather hefty portion for me so I end up ordering a few things but lighter. 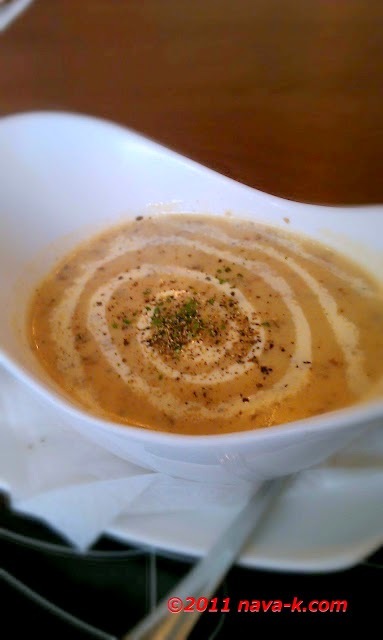 I started off with mushroom soup. As you can see it has a swirl of fresh cream in it and the waiter sprinkled some black pepper when requested. The soup was delicious. It had various bits of mushrooms in it and the broth was not too salty. But I would like it to be served with some bread though. 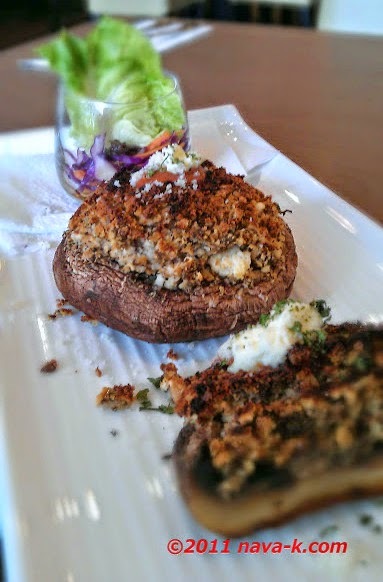 They also have a long list of starters so in the end I settled for the stuffed portobello mushroom. To my surprise, it came as one-and-a-half mushrooms. Strange but true. It was topped with minced chicken and herbs. Just like the mushroom soup the flavours were delicate and complimentary to the giant shrooms rather than overpowering it. By the end of it, I was feeling nicely stuffed. 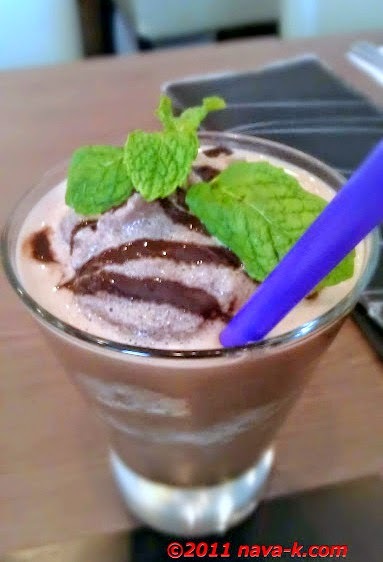 To round up my visit this time, I had the cioccio mint which is actually chocolate mint. I wished it wasn't so early of the day as they have a long list of alcohol and wine options. But the chocolate gave my meal a sweet end. Although the prices are high and the bill (RM57) left a small hole in my pocket, I didn't mind as much as the quality of food and service is great. RM 57 for only one person?? that's expensive alright! Seems like a nice place. Wow that portabello looks so delicious! RM57 for a great food is a steal! Here food costs similar to that but theyre not all great. yep, have to agree quite pricey but big portions too.